The Palazzo del Gusto was set up to value and spread the knowledge about the excellence of our abundant province of which Acqualagna is a part. 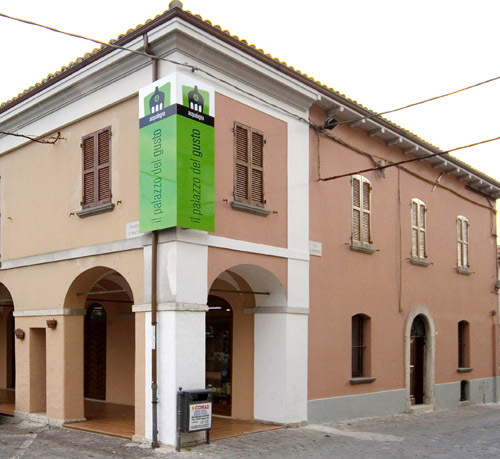 Its head offices are located in Palazzo Conti, in the historic town centre. 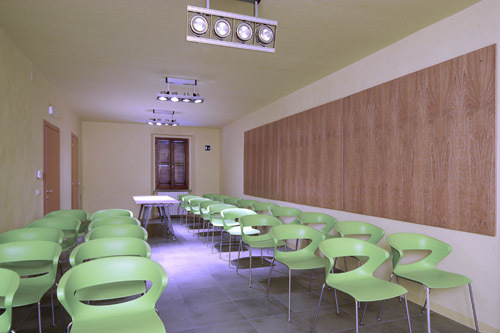 The building houses a veritable exhibition of typical local food, as well as the possibility of taking part in sensorial workshops. The concept underlying the Palazzo del Gusto is to give life to a building in response to the new concept of Food as a cultural expression and not just a means of nutrition. 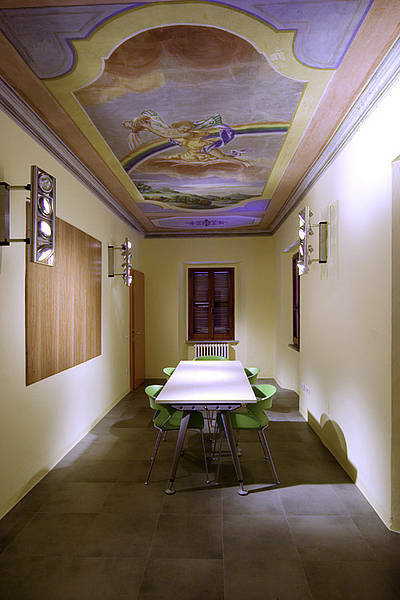 As a matter of fact some rooms have been specially set up, such as the colourful room of affrescoes, especially designed for educational activities, conferences and informative meetings. Another novelty is the “I Percorsi del Gusto” , the creation of 7 food and wine itineraries. Detailed brochures and maps describe the itineraries between villages and towns of the territory indicating the appropriate places to taste products which have been selected for their quality, as well as accomodation structures, shops, taverns, restaurants, artisan shops and production factories. 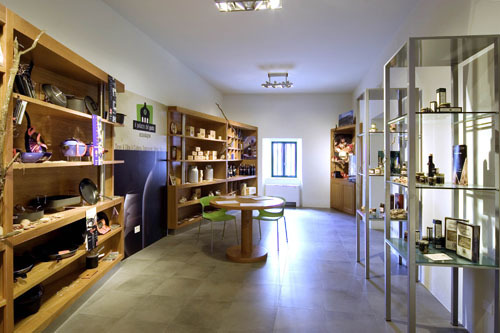 The tourist who visits the Palazzo del Gusto can see, try and choose their holiday itinerary. The crowning glory is the large kitchen arranged as in a theatre so that visitors can watch the chefs at work, learn all their tricks and appreciate the brilliance of their culinary art. Here tourists, restaurant owners, companies and artisans can find the ideal location for food and wine tasting, the presentation of products and guided tasting. 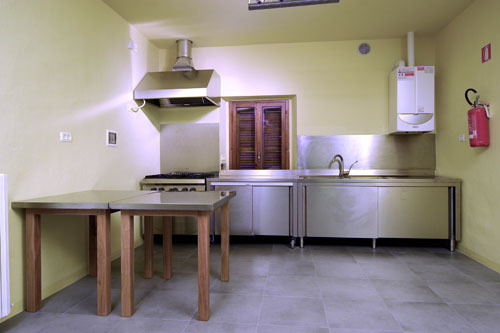 The kitchen has also been designed for organizing cooking courses and guided tasting sessions. This fascinating tavern is entirely built from the red rock of the Furlo, which is today extremely precious and rare and is protected by the State Nature Reserve of the Furlo Gorge. 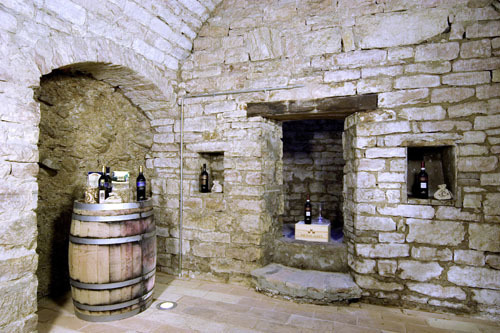 In this underground place, niches and arches follow one another and against the echo of the ancient walls the wines of the best Marchigiane barrels are opened. Such wines come from the vineyards lying on the hills caressed by the breeze of the Adriatic sea.